By protecting the native plants and native plant communities of Florida you are protecting the qualify of life in Florida. Valuable commodities, including food and medicines, are derived from native species. They provide water filtration, flood protection, carbon storage, erosion control and soil enrichment. Native plants are necessary to maintain a healthy and sustainable environment. Our natural parks and preserves attract thousands of tourists to Florida each year. Our tourist economy depends on preserving our native habitiats. Native plants also provide habitat and food for native animals. These native plants and animals represent an ecological balance that has developed over thousands of years. The threat to these habitats is real. Every year we lose more habitat and species to development, invasion by exotics and pollution. Join FNPS and indicated your chapter choice as Suncoast. You can join on-line or through the mail. We also have membership applications available at every meeting. In addition to the many benefits of becoming a member of FNPS, the Suncoast Chapter has a great line-up of informative monthly speakers, native plant sales and fun monthly fieldtrips to some of the best parks and preserves for native plants and wildflowers. Twice a year we also camp at a State Park outside our immediate area for a weekend of hiking, botanizing and socializing. 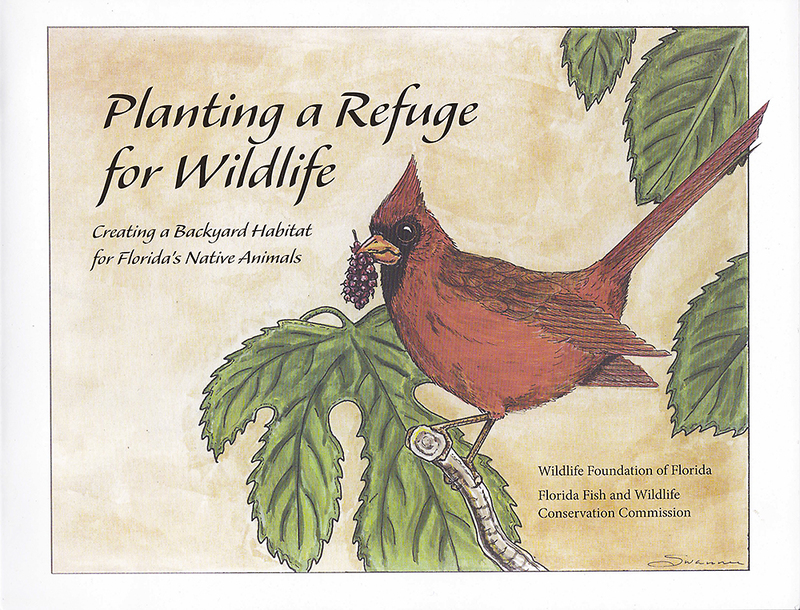 As a bonus, if you join the Suncoast Chapter, you will receive a copy of the book Planting a Refuge for Wildlife. a 36-page colofully illustrated book that tells you how to create a native landscape that will attract birds and other wildlife to your home. The meeting was very educational, lots of information was shared and extremely helpful for beginners like me. I had never seen such friendly people. I can't wait for the next meeting! Thanks for leading a great "field trip" into a less traveled area. I saw flora that I had not seen on other FTA and Sierra Club hikes. Many thanks for a great field trip & learning experience. Excellent! Abundant plants and animals. Good group. Fun field trip.